Don’t let foot injury or pain keep you out of the game. Sporting injuries can occur from acute trauma or repetitive stress that results in overuse type injuries, associated with athletic activities. Sports injuries can affect soft tissue (muscle, ligaments and tendons), nerves and bony structures. Many lower limb overuse sporting injuries treated by podiatrists result from abnormal biomechanics and poor foot and lower limb alignment. The risk of sporting injuries can be divided up into intrinsic (inside) and extrinsic (outside) factors. Physical fitness and nutritional health. Psychological factors (poor concentration, anxiety, aggression). Previous injury (reduced proprioception, weaken soft tissue structures, scar tissue). Mechanical imbalances (poor lower limb alignment, joint instability, altered muscle strength, and length). Type of sport (i.e netballers are more prone to ankle sprains). Training (overtraining, appropriate training surfaces). To decrease your risk of injury during sport, warm up before exercise is essential. This includes an aerobic warm-up using 30% of your maximum capacity, which should cause a light sweat. Prepares the body for increase stresses. Dynamic stretching and foam rolling should also be an important part of your warm-up regime. you should stretch all the major muscle groups of your body. Decreases strain on muscles and the risk of injury. Cool down after physical activity should be a slower intensity to decreases your heart rate. Foam rolling of the muscles used and static stretching is also advisable. Reduces lactic acid levels quicker. Increases venous return, preventing the pooling of blood in the muscles, causing increased pain and stiffness. Allows all body systems to return to a normal state slowly. Common foot problems related to sport and physical injury can range from simple blisters and nail injuries, to soft tissue trauma, ligament/ tendon damage, osseous (bone) and neural involvement. 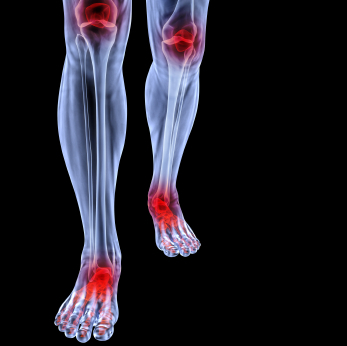 Well Heeled Podiatry is experienced in dealing with ssports-relatedinjury and rehabilitation. An individualised treatment regime will be tailored to your injury needs, to get the best outcomes and desired results. WARNING: This information should be used as a guide only and does not replace professional podiatry advice. The content is provided by Well Heeled Podiatry for educational purposes only and does not replace the need to see a podiatrist in order to accurately diagnose and treat your condition. Treatment and outcomes will vary between patients depending on the nature of the presenting complaint and subsequent diagnosis of condition.